'Poltergeist' is a German word meaning 'noisy spirit'. The term is commonly applied to cases in which there are recurrences of spontaneous physical phenomena that appear to be paranormal in nature. 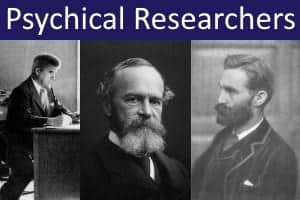 Because the manifestations are recurrent, largely spontaneous and unpredictable, and seemingly involve paranormal interactions between psychological and physical events, some researchers use the term 'Recurrent Spontaneous Psychokinesis' (RSPK) instead of 'poltergeist'. The term 'RSPK' may also be preferred for being a more neutral and descriptive label that does not imply that the phenomena are necessarily due to the activity of 'spirits'. 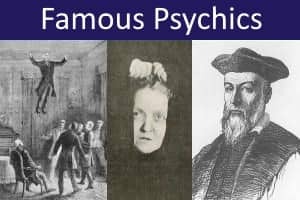 Significantly, many of these manifestations are common to both modern and historical poltergeist cases, suggesting that there may be a consistent pattern of phenomena involved. However, the vast majority of recorded poltergeist cases have occurred in Europe or America and it is unclear whether a similar pattern of poltergeist activity manifests in other continents or cultures (see, however, Healy & Cropper, 2014). 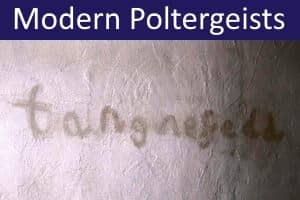 Poltergeist cases are most commonly domestic affairs, with the phenomena primarily affecting the home and immediate family. Occasionally, the workplace is involved. Typically one family member seems to be the focus of poltergeist activity - i.e., this person is present when the phenomena occur, and appears in some way to trigger their occurrence. 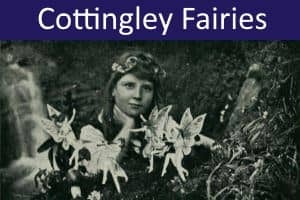 Unlike cases of hauntings, which are generally associated with particular locations, poltergeist cases appear to be focussed around a specific person (occasionally two people). If the family moves home, the phenomena sometimes follow this person (known as the 'poltergeist agent') to the new home. The poltergeist agent is usually a child, teenager, or young adult - most commonly a pre-pubescent or pubescent girl (9-13 years). In many poltergeist cases, there are complex and emotionally conflicted family dynamics. Often the family has a strict, authoritarian and punitive regime, and may be strongly religious. One widely-accepted theory is that poltergeist phenomena are a psychokinetic manifestation of the agent's intense repressed anger at another, more powerful, family member (who may, directly or indirectly, be the target of the activity). Often, however, the anger seems to be directed at the self, so that the poltergeist agent becomes the victim. 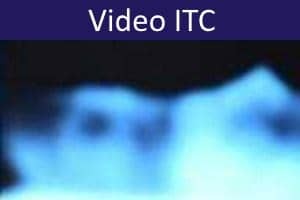 Despite the often dramatic and threatening nature of poltergeist manifestations, people who experience or are targetted by them are very rarely seriously hurt by the phenomena. Any physical harm is usually restricted to scratches, minor cuts, or small bruises, sometimes as the result of being hit by projectiles. Poltergeist cases usually break out suddenly, often triggered by a traumatic event, or new source of emotional stress. Most outbreaks do not last for more than a few weeks or months, and usually end abruptly. Some notable cases, however, have continued for several years. Often the activity dies down or ceases when there is a significant change in individual or family circumstances (e.g., moving house, switching schools, or a change in the household's membership). Individual and family counselling or psychotherapy can also help in bringing the outbreak to an end. 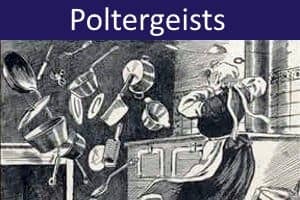 Skeptics argue that many, if not all, poltergeist cases, are the result of trickery - generally by the poltergeist agent, who sometimes has accomplices. They point out that the agent is typically a young child or adolescent who is simply playing pranks, either out of a sense of fun or mischief, or to get attention, or as a way of expressing repressed hostility, or exacting revenge, against a disliked family member. In a minority of cases, poltergeist agents have been caught red-handed (e.g., throwing or moving objects). Although only rarely discovered, skeptics suggest that certain features of poltergeist cases indicate that trickery may be much more prevalent than it appears. This includes the fact that observers almost always see projectiles already in flight - they don't see the object begin its movement. 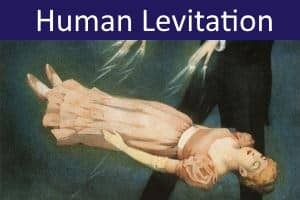 Also other manifestations (e.g., raps, imitative noises, graffiti) are very easy to fake, while the more dramatic phenomena (e.g., levitations) are rare and notoriously difficult to record. More sympathetic investigators argue that even when trickery is discovered, it would be wrong to dismiss the case out of hand, since it is always possible that genuinely paranormal phenemona may occur alongside activity that is faked. 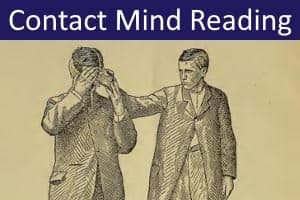 It is also important to recognise that some trickery may be unconscious, possibly carried out in a dissociated psychological state, rather than being a deliberate act of mischief or revenge. 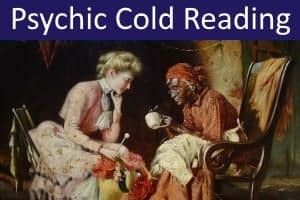 Such unconscious trickery may indeed be an important clue that helps us to understand the psychological underpinnings of a poltergeist case. In some cases, phenomena may be explained as a misinterpretation of natural events. For example, noises in the walls or cavities of a house may be caused by birds or rodents. Noises and vibrations may also be due to wind, underground watercourses, airlocks in plumbing, or earth tremors. Puddles and flooding may be the result of leakages or condensation. Estimates suggest, however, that natural artefacts account for only a very small percentage of reported poltergeist phenomena (less than 2%). Traditional systems of belief usually assume that poltergeist phenomena are caused by mischievous or malevolent spirits, ghosts, or demons. In some cases these spiritual entities are believed to possess the victim (poltergeist agent). Poltergeist outbreaks are therefore met with fear, and with attempts at magical or religious remedies involving ritual, prayer, or exorcism. 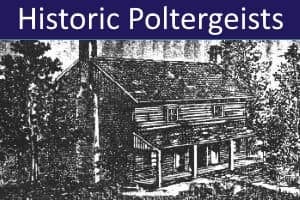 With the advent of the spiritualism movement in the 1840s, poltergeist manifestations came to be understood as attempts by departed souls to communicate with the living, perhaps with the aim of resolving unfinished business, or to seek release from an earth-bound state. 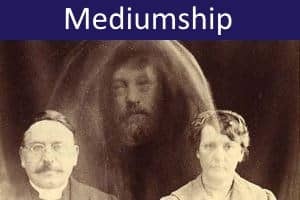 The spiritualist approach to poltergeists therefore generally involves establishing a channel of communication with the departed soul by holding a mediumistic seance. 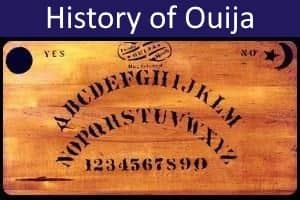 In these seances the 'poltergeist' (spirit) may apparently reveal its identity using a system of coded raps, or through voice phenomena, or in writing, or by using a ouija board. Interestingly, people who later become spiritualist mediums are often the focus of poltergeist activity in childhood. It has also been suggested that certain environmental factors may amplify the psychokinetic energies of some sensitive individuals, leading to poltergeist manifestations. In particular, research indicates an association with electromagnetic fields (e.g., the proximity of high-voltage power lines) and with geomagnetic disturbances (e.g., caused by solar activity). Psychological or psychiatric factors seem to play an important role in the majority of poltergeist cases, often contributing to the stress experienced by the agent. Most poltergeist agents are young children, or teenagers, who may be struggling to cope with the onset of puberty, with family tensions and other interpersonal difficulties, or with physical, verbal or sexual abuse. In many cases, the poltergeist outbreak is preceded by an identifiable emotional or interpersonal crisis. In some cases, the poltergeist agent may be diagnosed as having an anxiety disorder, hysterical conversion, or dissociative condition. Multiple personality has also been suggested as a factor in certain cases. Psychological, psychiatric and psychosocial factors clearly play an important role in poltergeist manifestations. They may help to explain what triggers and maintains an outbreak, and they may also suggest a basis and motivation for trickery. But they cannot account for any genuinely paranormal activity. 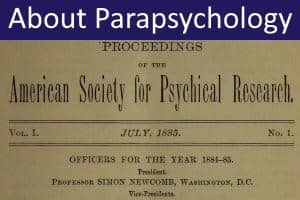 If any elements of a poltergeist case are presumed to be paranormal, a purely psychological and psychiatric interpretation must be supplemented by a perspective that recognises the paranormality of the phenomena. By their nature, poltergeist cases are complex, troublesome, and sometimes traumatic. Investigators are typically faced with a variety of practical, interpersonal and ethical problems, and often find that the phenomena elude their attempts at direct observation and recording, The main evidence for many cases is based on the testimony of witnesses, whose recollections may not always be trustworthy or consistent. 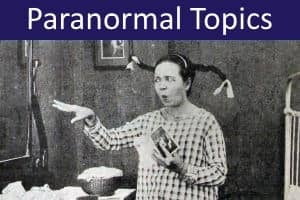 It can therefore be difficult to form a definite opinion on whether a poltergeist case shows clear evidence of paranormal manifestations, or whether the events may be explained by trickery or other natural causes. For each of the historic and modern poltergeist cases discussed on the following pages, I suggest a tentative 'Credibility Rating', based on the following six-point scale. While not everyone will necessarily agree with my ratings, they may provide a rough guide for those who are unfamiliar with the cases. ☆☆☆☆☆ Paranormal activity can be dismissed beyond reasonable doubt. Clear evidence of hoax, unambiguous confession, or ability to explain all phenomena by natural causes. 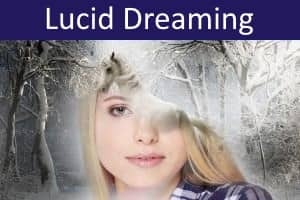 ★☆☆☆☆ Paranormal activity is conceivable but unlikely. There are major difficulties with the evidence (e.g., lack of independent witnesses, inadequate investigation, or indications of significant hoaxing or natural explanations). ★★☆☆☆ Paranormal activity seems possible. Phenomena are observed by independent witnesses. Fair standard of investigation. Natural explanations are unlikely. Some minor trickery may be discovered. ★★★☆☆ Paranormal activity appears likely. 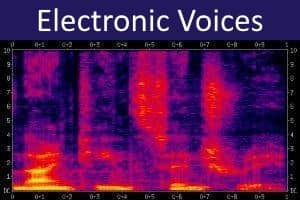 Phenomena observed by multiple independent witnesses, and/or by recording equipment. Good standard of investigation. Minor trickery may be discovered, but does not seem to play a significant role. Natural explanations are unlikely. ★★★★☆ Paranormal activity is strongly indicated. Extensive evidence from multiple credible independent witnesses and/or by recording equipment. Case thoroughly investigated. No evidence of trickery discovered. Phenomena cannot be explained by natural causes . ★★★★★ Paranormal activity is demonstrated beyond reasonable doubt. Indisputable evidence of paranormal phenomena, with no indications of trickery. In my opinion, no cases meet these criteria. Gauld, A. & Cornell, A.D. (1979). Poltergeists. London: Routledge & Kegan Paul. Healy, T. & Cropper, P. (2014). Australian Poltergeist: The Stone-Throwing Spook of Humpty Doo and Many Other Cases: Surry Hills, Australia: Xou Pty. Lecouteux, C. (2012). The Secret History of Poltergeists and Haunted Houses: From Pagan Folklore to Modern Manifestations. Rochester, VT: Inner Traditions. Maxwell-Stuart, P.G. (2012). Poltergeists: A History of Violent Ghost Phenomena. Stroud, Gloucestershire: Amberley. Spencer, J. & Spencer, A. (1997). The Poltergeist Phenomenon: An Investigation into Psychic Disturbance. London: Headline Book Publishing. Teguis, A. & Flynn, C.P. (1983). Dealing with demons: Psychosocial dynamics of paranormal occurrences. Journal of Humanistic Psychology, 23(4), 59-75.